Exergaming or interactive fitness is a form of physical activity which combines exercise and video games (exercise + gaming). This type of fitness for kids and adults utilizes technology that is integrated into the equipment that tracks athleticism progress, body movement, and reaction times. By creating weight loss games that are engaging, people don’t realize they are having fun until they begin to feel healthier. One of the fastest growing fitness industry trends, Exergaming is something that someone of any age or activity level can participate in and still see & feel results. 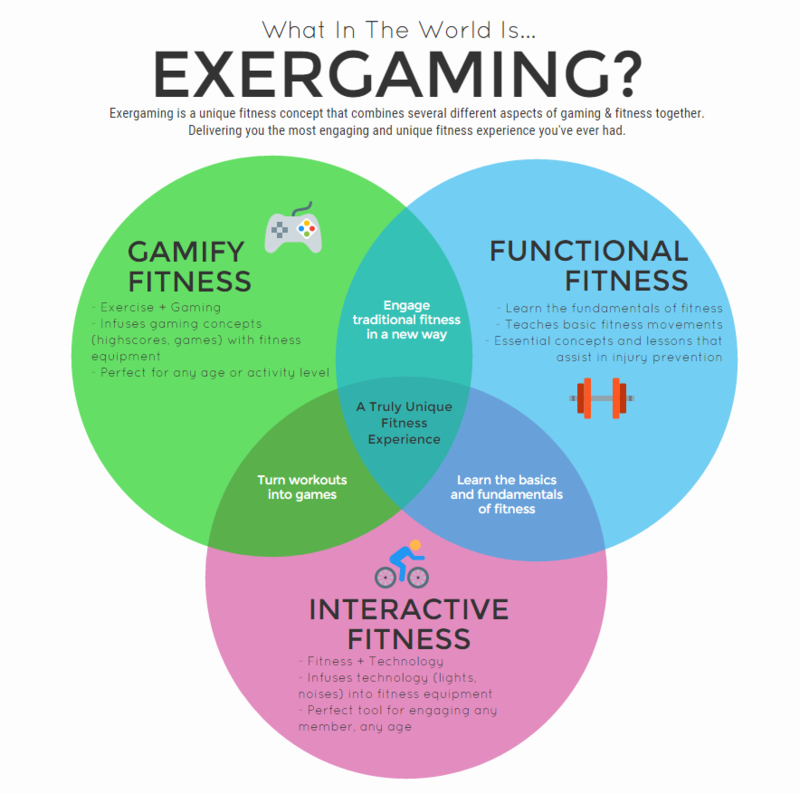 The Exergame Fitness philosophy is to create fun, exciting environments where the worlds of technology and fitness intersect. We’ve found that we’re able to create lifelong members to your facility through active gaming – from the youngest child to the active older adults – when we combine certain products, activities, and movements with proven fitness principles and training protocols, it creates an energetic and engaging atmosphere. It’s this unique blend of technology, fun, and fitness that make an investment in exergaming rooms a smart choice. Recent industry publications have named Exergaming and the youth fitness market as one of the fastest growing and most profitable groups of people and trends in the health and fitness world. Are you ready to get started with Exergame Fitness?